How to restore your serial number from a personal profile. 1. 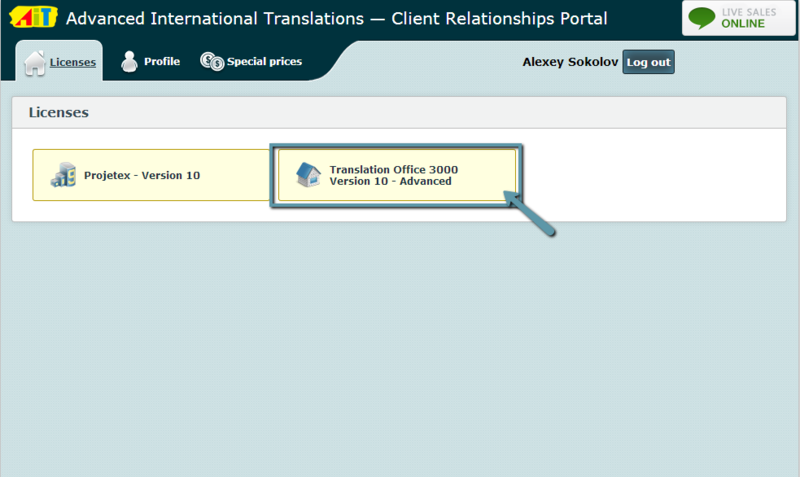 Log in at clients.translation3000.com. In case of any difficulties, please refer to the article. 2. Select a product (Picture 1). 3. 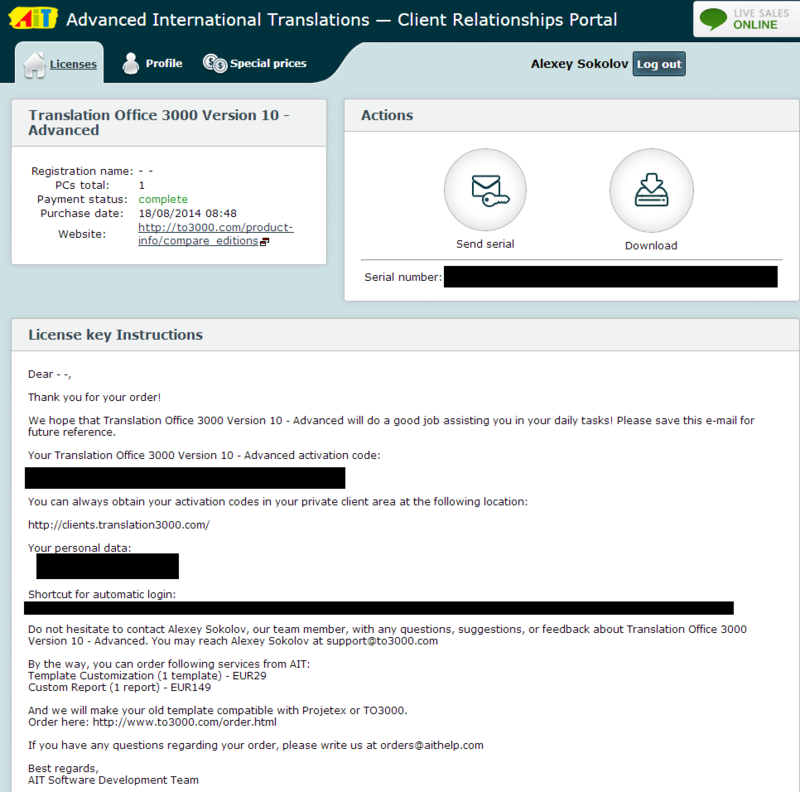 Now you can see all details about this purchase, including your serial number (Picture 2).